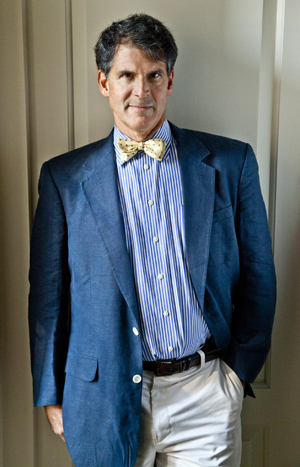 TAMPA, Fla. -- By telling the story of his near-death experience, Dr. Eben Alexander III’s book, “Proof of Heaven: A Neurosurgeon’s Journey into the Afterlife” became a New York Times best-seller. The controversial claims have led him to being interviewed by the likes of Oprah Winfrey, Katie Couric, and Larry King. The neurosurgeon will hold a lecture, free and open to the public, on Thursday, Dec. 5. Hosted by the University of South Florida, Alexander will speak at 6:30 p.m. in Ferguson Hall at the David A. Straz Jr. Center for the Performing Arts in downtown Tampa. No tickets are required, however, seating is limited. Near-death experiences, or NDEs, are controversial and many in the scientific community have argued that they are impossible. Before Alexander underwent his journey, he could not reconcile his knowledge of neuroscience with any belief in heaven, God, or the soul. However, that changed after slipping into a coma in 2008. Attendees will have opportunities, before and during the lecture, to submit questions that may be addressed at the event. Questions can be submitted online until Thursday at noon. At the event, questions can be submitted in the lobby of Ferguson Hall. Guests can tweet the college questions for Dr. Alexander during the event. The lecture is part of the Frontier Forum, which is sponsored by the USF College of Arts and Sciences, the Office of the Provost and Tampa Mayor Bob Buckhorn. If you are traveling north on I-275, take the Ashley Street/West Tampa Exit #44 (old exit 25) to downtown. Once on Ashley Drive, go to the first traffic light and turn right on Tyler Street and go a half-block to the Straz Center. If you are traveling south on I-275, take the Downtown East-West Exit #45A to downtown. Please note that the exit point for Downtown East-West Exit 45A is well in advance of the previous Ashley Drive Exit #44. Follow the Ashley Drive sign. Turn right on Tyler street and go a half-block to the Straz Center. From the Orlando-Lakeland area, take I-4 west to I-275 South and take the Downtown East/West Exit #45A. Take I-4 West to Tampa then to I-275 South. Take the Downtown East/West Exit #45A. Once on Ashley Drive, go to the first traffic light and turn right on Tyler Street and go a half-block to the Straz Center. We suggest parking at the Poe Garage, which is located at N. Ashley Drive between W. Cass Street and W. Gasparilla Plaza. The Poe Garage is connected to the Straz Center by a covered pedestrian bridge. A portion of the parking fees supports the maintenance of the Straz Center. Parking at the Poe Garage is $6.?? There are parking lots available across the street from the Straz Center and east of the Ashley Plaza on Fortune Street. Parking at the Howard Johnson Plaza Downtown lot is $5 and parking at the Times Building lot I is $8. The Times Building lot II is $5.?? Metered spaces are available at no cost after 6 p.m. along any of the surrounding streets.